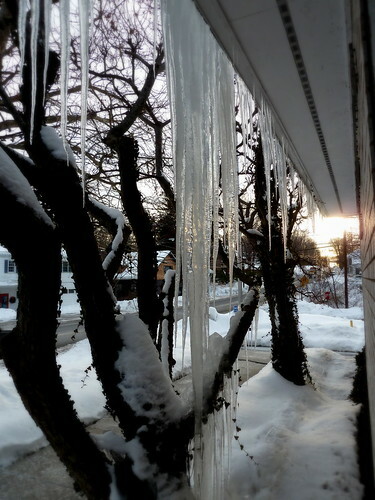 biggest icicle, originally uploaded by jahansell. At the Sharon Post Office, it goes from the roofline all the way to the ground. Be careful. Those guys hurt if you aren't paying attention.